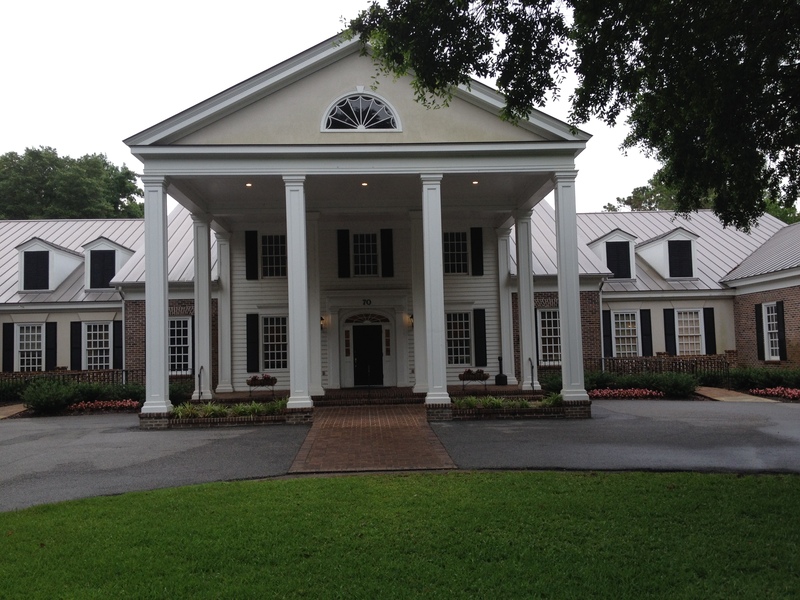 We played Pawleys Plantation Golf and Country Club in Pawleys Island, SC on Wednesday June 10, 2015. As you enter the grounds and approach the stately clubhouse of this Jack Nicklaus design, you can’t help but sense the architect’s love of Augusta National, and the impact the club had on the way he laid out this project. Tanglewood Drive is lined with large beautiful live oaks dangling Spanish moss, and immaculately landscaped touches adorn every pathway and corner. 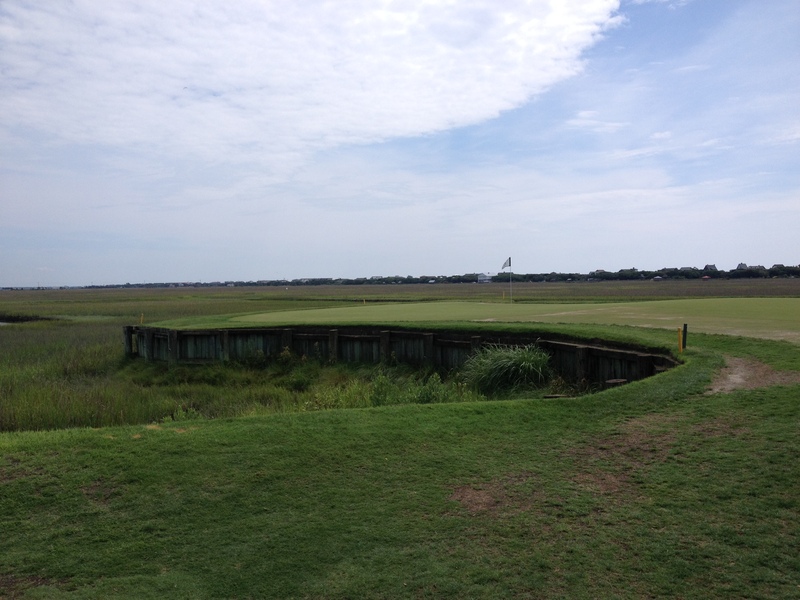 It has been at least since 2006 when I last played Pawleys, and the course has grown in immensely, and in a great way. We added Pawleys as a last minute substitute for Barefoot Love because of poor conditions at Barefoot, and were glad we did. Our package price actually dropped $10 per man and the playing experience at Pawleys tops Barefoot. Last time down I recall a very expensive replay rate at Pawleys and the afternoon tee sheet was booked, so we weren’t sure we’d get back on for a second round. Imagine our surprise when they hit us with a minimal $30 replay fee and any tee time we wanted. Value gets a 4.0 rating except they charge for range balls ($4.00) and everything should be included at this class of course. Pawleys clubhouse is beautiful and as you enter the pro shop, you see Jack’s framed even-par 72 scorecard proudly displayed behind the front desk. His was the first round played here when the course opened in 1988. The practice grass driving range is in excellent condition. There’s a practice putting green of ample size right next to the range and the starter drives out to conveniently announce the next group on the tee which is located close by. Everything is laid out perfectly, as you would expect someone of Jack Nicklaus’ detail oriented nature to construct. Mike and Dylan warming up. 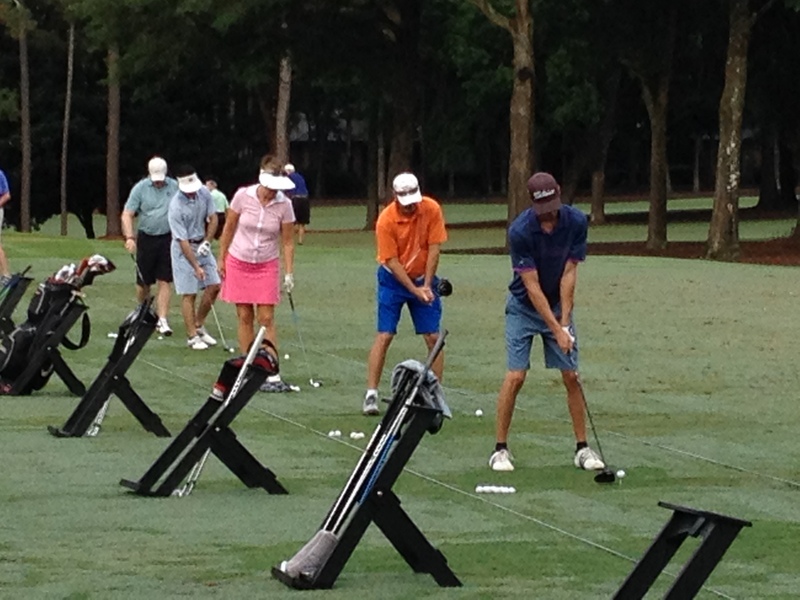 The playing surfaces are all Bermuda and the greens were rolling smooth and at medium speed. A couple of the fairways had some scratchy lies but they were easy to play from. Many of the tee shots were framed with large oak trees either on the side or on occasion in the fairway’s line of sight. It should come as no surprise but Nicklaus wants you to think on every tee shot, as he would have. Interestingly, there was a mix of doglegs left and not the predominant favoring of the right, as has been the case with so many other Nicklaus designs. The front nine meanders through a beautiful neighborhood of ponds and superbly landscaped luxury homes, but you don’t feel the neighbors are imposing on your round. Watch out for the huge alligator that lives in the lake next to the par-3 third hole! The back nine is drop-dead gorgeous; especially the par three complex of #13 and #17 which both play out on the marsh. #13 is especially difficult because you’re playing into what is effectively a peninsula with very little bailout area and into the prevailing wind. The mindset seemed similar to #17 at THE PLAYERS. We were playing the blue tees, which measure only 115 yards and I flushed an 8-iron which reached in the morning round and had to add a club for the afternoon. As you can see in the photo, you cannot miss the surface. The minute we arrived, the cart guys had our clubs out of the car and provided snappy accurate service all day. The proshop staff were friendly and very professional, and made our replay experience the best. Lastly, the chicken salad wrap and potato salad I had in the pub was superb. Definitely stop by for some delicious eats between rounds. 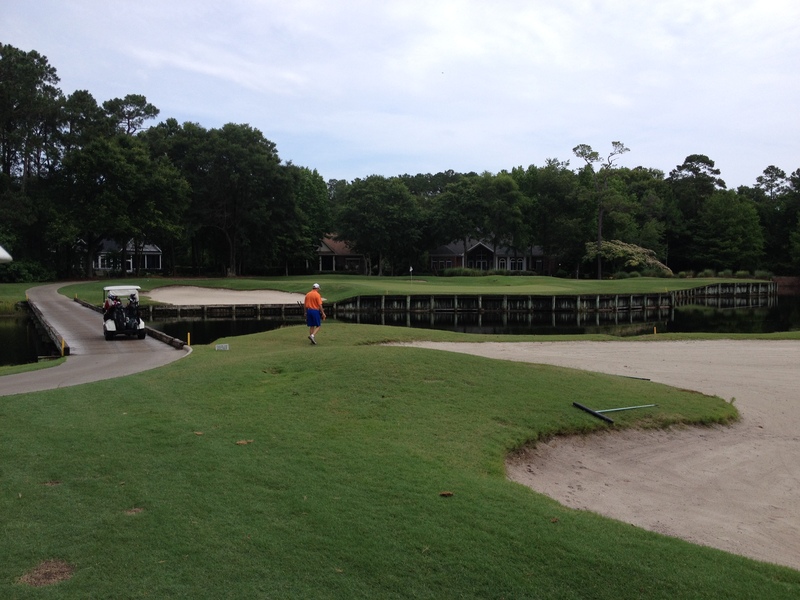 Pawleys measures 6,549 yards from the blue tees with a 73.7/144 course rating. I shot an 82. This is a top-10 play in the Myrtle Beach area, do not miss it on your next time down! 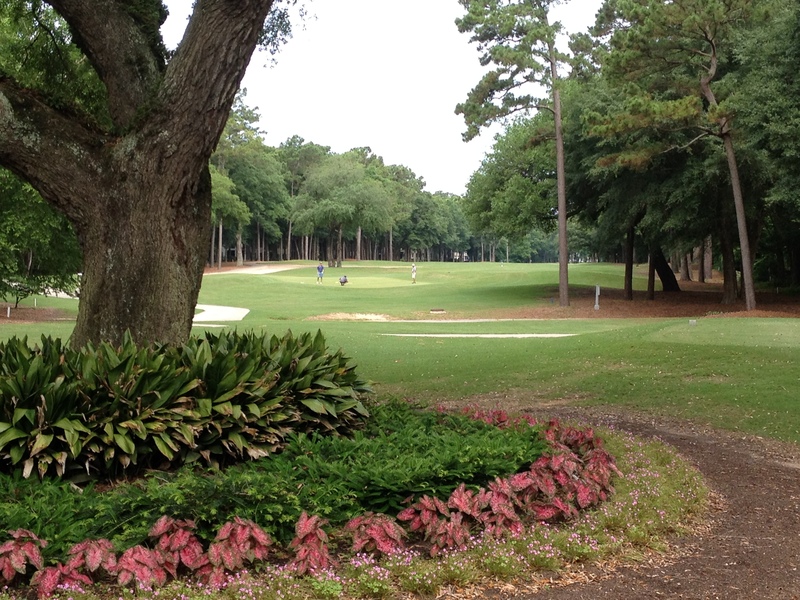 This entry was posted in Course Reviews, Myrtle Beach and tagged course reviews, Golf, Myrtle Beach, Pawleys Plantation, photography, sports, travel. Bookmark the permalink. Just as I remembered it! Thanks for the walk down memory lane! Sure thing Jim. Pawleys is on a wonderful piece of property and we loved it. Thanks! Hi Brian, looks like a great course.